Come one come all, Saturday April 27th. Bring in your gear to sell and we will put it up in the shop at no commission for the weekend. Swap, buy or sell surfboards, sup’s or newer in good shape wetsuits. (please no beat up, smelly suits). 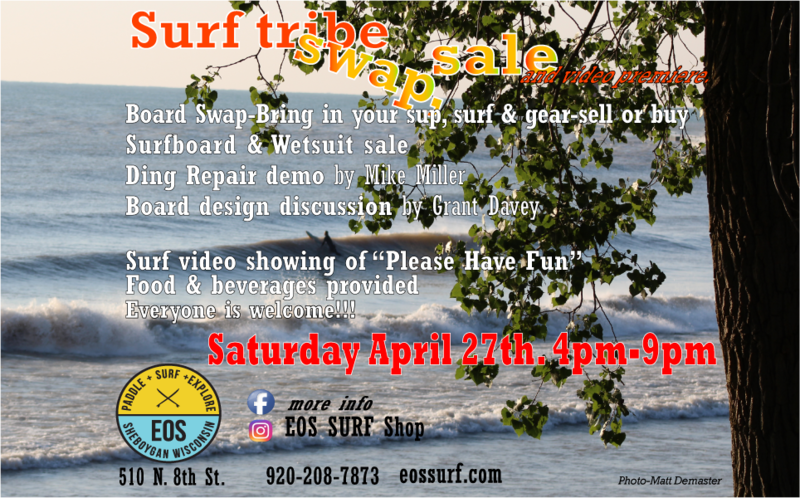 Have some beers and other beverages along with a bite to eat while watch the surf movie “Please Have Fun” , board repair demo by Mike Miller, Surfboard design discussion with our Aussie friend Grant Davey and just hang out with the tribe.